Wine blogs in South Africa are becoming more and more popular every year with many people writing about this interesting industry. Everyone from expert writers, tasters, winemakers and hobbyists are creating quality content to share with others. Here at The Lanzerac Wine Estate we appreciate the finer things in life. From fine dining to international award winning wines, we’re all about decadence and luxury. Nothing brings together the artists, the lovers and the dreamers like a great bottle of wine. We created a Top 20 list in celebration of these creative spirits, fine wines and excellence in both taste and journalism. This Top 20 list is not an official competition, rather a fun and interesting informational piece about the bigger and most active wine blogs in South Africa at the moment. Coming in at number 1, the Wine Tourism South Africa blog is everything you could hope for in a wine blog. Providing informative, entertaining and up to the minute news and opinion pieces about all things Winelands, the Wine Tourism South Africa blog is gorgeous, interactive and easy to navigate. Placing second only by the narrowest of margins, the Wine Magazine has an incredibly prolific archive with multiple new blog posts appearing almost every day! A simple, easy to navigate site, the Wine Magazine is definitely user-friendly and chock-a-block full of valuable information. For expert reviews of local wines, recipes, opinion pieces, news and more; visit the Wine Magazine’s blog today. Cathy Marston, originally from the UK, has been on South African soil for over a decade now and has, in those years, made quite the name for herself in the world of fine wine. After being hired as a Marketing Manager by Adnams Wine Merchants, and completing her Diploma through the Wine & Spirit Education Trust in an effort to become as familiar as possible with the product she was selling, Cathy went on to become an Approved Programme Provider for the Wine & Spirit Education Trust (WSET) and is currently the only Approved Programme Provider in Africa. These days Cathy focusses on tasting, writing and educating others about fine wines. Her work on the Food24 Wine blog is not to be missed. Tim James’s Grape is a simpler WordPress blog without the visual bells and whistles, but don’t let that put you off. Beyond the bare-bones appearance lies a wealth of information offered straight from the horse’s mouth. In his nostalgic, poetic mode Tim reminisces about old friends (reviewing tried and trusted favourites as well as some rarer vintages), waxes lyrical about new acquaintances (reviewing new releases and visiting new wine farms), and has an anecdote for every occasion. No stranger to the beautiful Lanzerac Wine Estate, Michael Olivier had been employed at a number of South Africa’s top wine estates, including Lanzerac in the 1970’s, before he decided to strike out on his own. 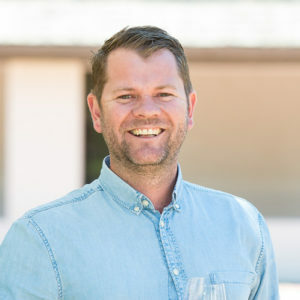 Currently enjoying work as a South African Lifestyle, Wine & Food commentator who regularly blogs about fine wine and fine dining the country over, Michael Olivier is uniquely qualified to make valuable contributions to the South African Wine blogging community. Periodically introducing you to new website partners of his, if their products are Michael Olivier approved you can rest assured they are world-class! A feast for the eye as well as the mind, the Winelands Explore blog is a joy to, well, explore! For the internet’s most comprehensive list of events in and around the Cape Winelands, trip and/or activity suggestions, competitions, or more information about your favourite wine or wine estate, look no further than Winelands Explore. A gorgeous online lifestyle publication by Fiona Rossiter, Inspired Living brings you wine reviews with flair, complimented by stellar photography and a keen eye for layout! With helpful links to stockists of recommended wines, and price estimates provided in the blog posts themselves, Inspired Living does all the work for you! Definitely add to cart, and definitely add to your reading list! Providing exclusive content, like interviews with local winemakers and uniquely South African recipes and wine pairing suggestions, Cape Ardor is not only a stellar wine blog, but the world’s largest exclusive retailer of top-quality South African wines. With an online shop, and blog archive going all the way back to early 2010, Cape Ardor is your one-stop online wine shop and information desk. Emile Joubert’s Wine Goggle is personal, witty and wonderful – with a tag line like “wine, food and fun through rosé tinted spectacles”; what’s not to love? With neatly organized tabs separating “reviews and views” from “video and visuals”, this multi-media endeavour is all kinds of brilliant. For laugh-out-loud funny content, and educated insight into all things “wine, food and fun” you don’t want to miss a post on Wine Goggle. Wine Wizard brings you not only quality content and guides to understanding and navigating the world of wine, but a miracle of modern technology! Especially useful to newbies to the fine wine scene, Wine Wizard has an online function that helps you select and pair wine! The function allows you to input information on: your preferred type of wine, taste, variety of grape, store, food you intend to pair the wine with, the occasion and preferred cost; and then spits out an appropriate wine choice! You can also choose to skip steps if you don’t know which variety of grape you like, for example, or if the occasion won’t impact your choice. New World Wine Maker is the ideal blog for those avid readers and/or consumers of wine who always want to know how things work. With Technical Articles being a primary focus; if you’re more about process than product, this is the wine blog for you! Also featuring student-written articles, as well as wine-maker interviews, New World Wine Maker is most accessible to those who speak the lingo, or have a keen interest in viticulture. Maggie and Hennie, who make up the heart and soul of Batonage describe their blog as “a labour of love” and emphasize that they are not paid to promote or advertise the products and estates that they visit, review and/or blog about. They are just avid foodies and wine lovers who enjoy sharing the food and drink they love most with the world. For a beautiful and informative blog that reads like a travel journal, check out Batonage. If you think ‘local is lekker’ but still like to know what’s going on in wine countries the world over, head on over to Wine Cellar Plus. Brainchild of one Roland Peens, Wine Cellar Plus blogs mainly about local, international and rare wines. Also featuring special weekly offers, and a recipe section, Wine Cellar plus gets an A+. The wine tourist’s one-stop everything-you-ever-needed-to-know stop, Top Wine SA covers everything you need to know about planning your trip to wine country! Top Wine SA is your go-to for South Africa’s top-rated wines, best-value wines, top wine events calendar, wine route tips and wine news headlines. Home of the SA Wine & Cellar Classifications and the Top Wine SA Hall of Fame, keeping tabs on the best track records of the country’s leading wines as judged by panels of experts locally and internationally. Directories of the top SA wine producers and where to eat/stay on the top farms, among the vines. Plus a mini encyclopedia when it comes to grape varieties, wine terms, food and wine pairing as well as memorable wine quotes. Good Taste Magazine is the epitome of good taste – with an understated, minimalist design, the website could easily be called plain if it weren’t for the stellar content geared toward answering your frequently asked questions; such as “What’s the Point of a Blind Tasting?”. Colourful, out-of-the-box, risky and va va voom fun; Good Taste’s content is the polar opposite of its plain, neutral colour palette. The Checkers Wine Blog will take you on a virtual tour through South Africa’s beautiful Cape Winelands. Their articles are all interesting stories about wine, winemakers and wine estates, while they aim to include content about high producing international wine regions in the future. Karen Glanfield, a wine specialist, lecturer and writer, is the main writer for the Checkers Wine Blog. So if you want intriguing wine stories with a touch of professionalism from a great writer, don’t miss the Checkers Wine Blog. Hein Koegelenberg, of Hein on Wine fame, is an avid blogger on subjects ranging from wine, as the name suggests, to marketing strategies in the digital age. Thinking and blogging specifically about the wine industry in our current epoch, Hein’s posts focus mainly on the wine industry and sustainability, as well as on the wine industry and social responsibility. Boasting a variety of contributors to the blog, the Institute for Grape and Wine Sciences’ blog has a wonderful variety when it comes to narrative voice. Focussing on the more formal elements of wine and winemaking, the IGWS is a part of the Stellenbosch University Department of Viticulture and Oenology, and focusses on generating fascinating educational content. Having earned her bread and butter as a journalist, writer, reviewer, editor, and academic in turn, Myrna Robins’ content is a pleasure to read. An active blog, with informative, high-quality content, Wine Weekend with Myrna Robins boasts wine and restaurant reviews, advice on food and wine pairing, and an extensive archive; so you’re unlikely to run out of reading material any time soon. As Leanne Beattie (a.k.a. The Wine Girl[’s]) blog banner will tell you, she is making (we like to think drinking) her way through 800 wine farms in Cape Town, South Africa; a noble quest! 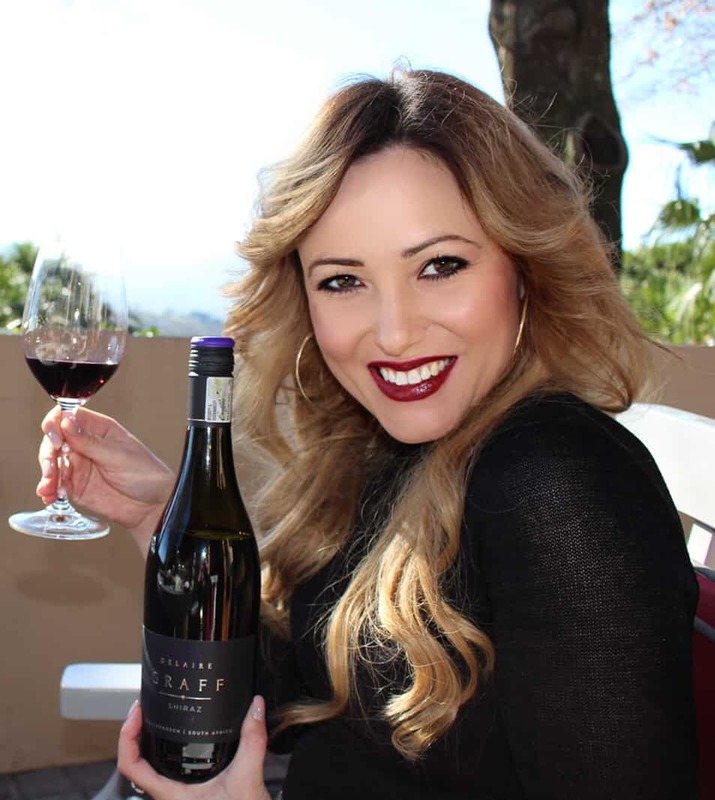 She has visited 58/800 wine farms to date – to keep up with her progress, and for some stellar content unrelated to her life-goal of visiting the Cape’s 800 wine farms by her 40th birthday, but still dedicated to all things wine, visit The Wine Girl Cape Town’s blog today. The Lanzerac Wine Estate would like to offer heartfelt congratulations to the individuals and teams behind the blogs selected for the Top 20 South African Wine Blogs 2017! Thank you to yourselves, and your readers, for sharing in our passion and love for good food, good wine, and good times! If you fancy following in The Wine Girl’s footsteps, start your journey at The Lanzerac Wine Estate’s Tasting Room today!